I just wanted to share this video with all of you. This song just touched my heart in so many ways. We need to make a stand and come back to God. We need not be afraid that we have a relationship with Him; stop thinking what others think. Take a listen to this song. I have been doing a study at my church, KCWC with several wonderful friends. We are going through the book by Stormie Omartian; Prayer Warrior. There are so many gems packed in this wonderful study. Being a prayer warrior is something that you do because you love the Lord. Being a prayer warrior is another way to reach out and help many that you may not be able to help directly because of the circumstances that are going on. 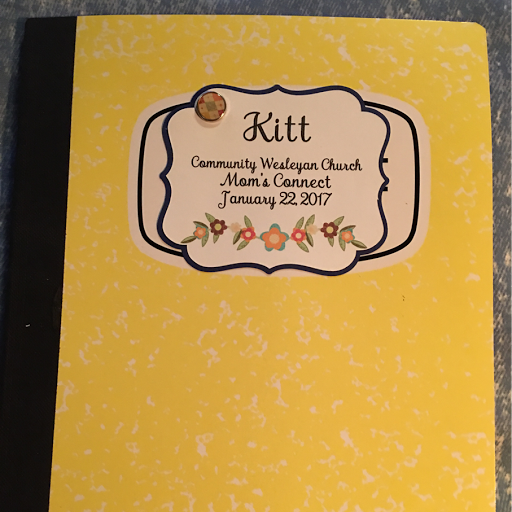 This is my notebook and just some of my notes I have been adding to it. I have a feeling that I will outgrow my notebook soon. 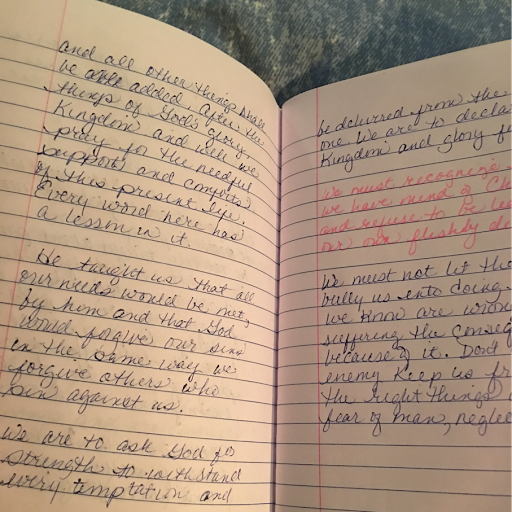 This here is my prayer journal to add to my arsenal of tools to be God's Prayer Warrior. Yes, I know that it says "Kitt"-this is a nickname that some of my very close friends have given me. This is filling fast. What I have been doing is putting in the prayer requests from you, friends, family and others who have asked prayer from me. I also am including when God answers the prayer. If there is a request that changes; an update that gets added, but in a different color. I have another for the answer to prayer requests as well. If anyone would like me to pray along with you with anything going on in your lives, please send me a message. I will stand in the gap and pray with you.